Elegant and sophisticated candy display! The wicker basket display has three baskets which slant for easy viewing and selection. 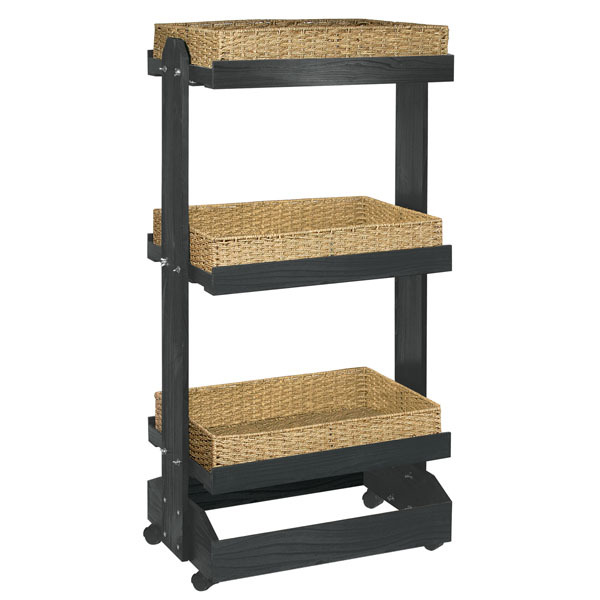 Solid bottom basket trays are 26 3/4 in. W x 18 in. D x 5 in. H. Wicker basket trays are set on a black frame. Casters are included for mobility. Some assembly required. Makes a great candy display. For even more pieces, we encourage you to take a moment to go through our thorough inventory of candy displays at Specialty Store Services today.